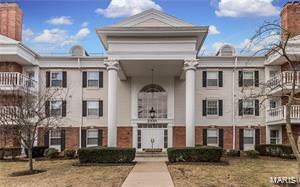 Spacious first floor end unit in sought after Manors of Broadmoor with private entrance. 2 bdrms/2 full baths. 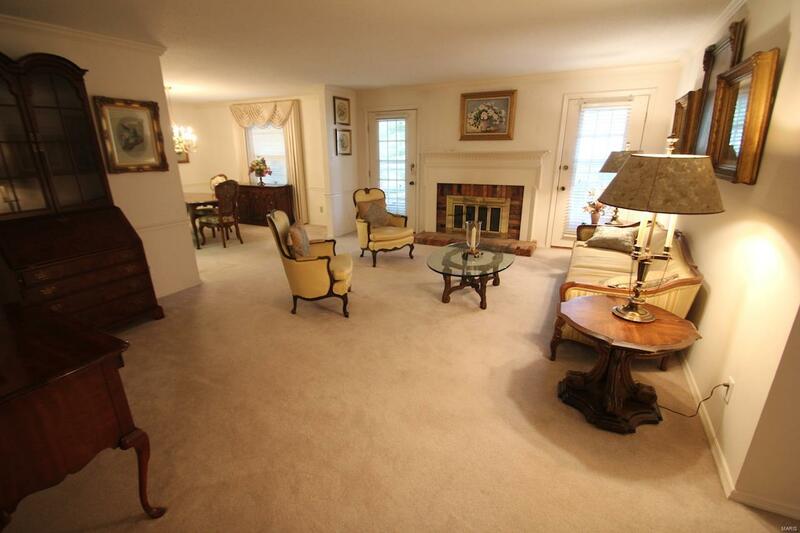 Large family room with gas fireplace opens to dining room. Large eat in kitchen. Den with built in shelving. 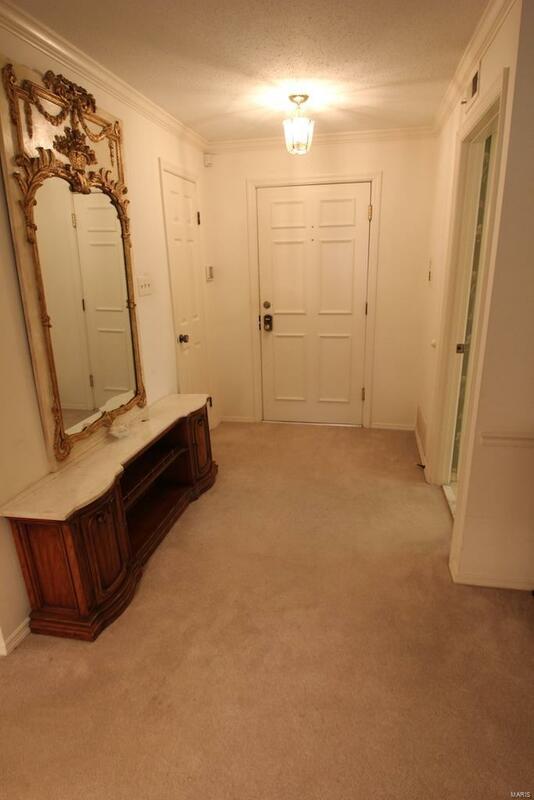 Entry foyer with guest closet. 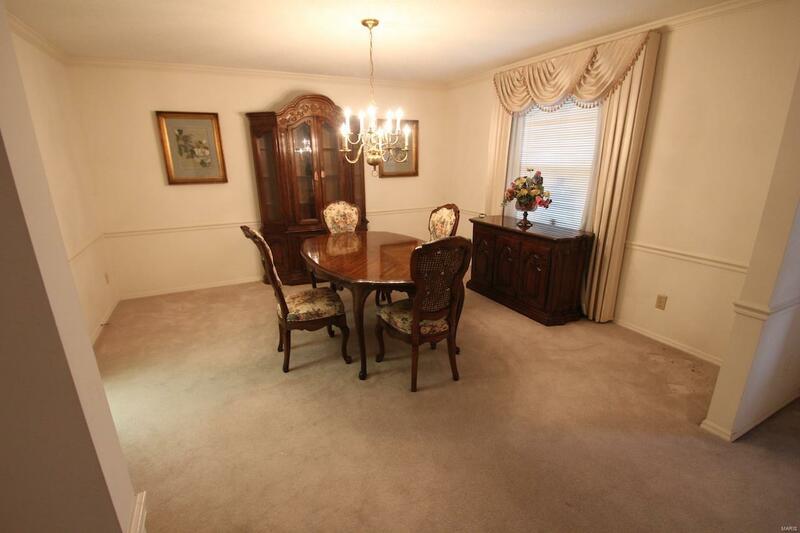 Huge master suite with extra large walk in closet with 2 entry doors. Lovely patio overlooks beautiful park like common ground. Underground parking with garage. Great price for this fabulous floor plan. Add your decorating touches to suit your personal taste. Impeccably maintained and super clean. Enjoy clubhouse, tennis court & pool. Storage in basement. New roof just installed. Convenient location off Baxter just off Clayton Rd. Parkway Schools. Great shopping and restaurants near by. Easy access to highways.